Some individuals are born to change the way we see ourselves and the world we live in. 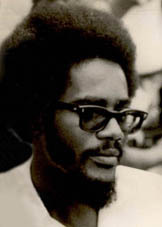 Walter Rodney was such a person. A Guyanese historian, political activist, and author of How Europe Underdeveloped Africa (1972), he brought a new consciousness of self-emancipation across the Caribbean Region. The following quotes are taken from The Groundings with my Brothers by Walter Rodney, first published in 1969. It covers the year he spent in Jamaica working among the masses and the Rastafari community. In Guyana, where the working poor still face oppression and struggle for survival, Rodney’s teachings remain relevant. The West Indies have always been a part of white capitalist society. We have been the most suppressed section because we were a slave society and the legacy of slavery still rests heavily upon the West Indian black man. Indeed, the basic explanation of the tragedy of African/Indian confrontation in Guyana and Trinidad is the fact that both groups are held captive by the European way of seeing things. When an African abuses an Indian he repeats all that the white man said about Indian indentured ‘coolies’; and in turn the Indian has borrowed from the whites the stereotype of the ‘lazy (black man)’ to apply to the African beside him. Africa is the home of mankind. The human being came into existence on the African continent nearly two million years ago; and human society and culture reached great heights in Africa before the white men arrived. What we need is confidence in ourselves, so that as blacks and Africans we can be conscious, united, independent and creative. A knowledge of African achievements in art, education, religion, politics, agriculture and the mining of metals can help us gain the necessary confidence which has been removed by slavery and colonialism. (T)he black educated man in the West Indies is as much a part of the system of oppression as the bank managers and the plantation overseers. The system says they (Rastafarians) have nothing, they are the illiterate, they are the dark people of Jamaica. Our conception of the whole world is that white is good and black is bad, so when you are talking about the man is dark, you mean he is stupid. He has a dark mind. So that is what the system says. But you learn humility after you get into contact with these brothers. And it is really great.